Where should you start when choosing your flooring? Today more than ever, there are an impressive amount of products available on the flooring market. So that you don’t feel overwhelmed, it is important to take the time to ask the right questions. The main question is: what should I prioritize to make the best choice? Our in-store consultants are the best people to guide you in your search. Here, we suggest that you start with various possible solutions. For what type of residence? In a house, the subfloor will determine the type of floor to be installed. The technology used if the installation is done on plywood will not be the same if it is installed on a concrete slab or an existing floor. In a condo, there is often a concrete base and soundproofing rules to respect, which requires a specific installation and a selection of specific materials. For a basement, where there is more humidity, choosing laminate (floating), vinyl or engineered flooring are better choices. Always the most popular choice in Quebec! We like it for its great variety of possibilities due to the combinations of species, board widths, colours, finishes and the fact that it is a very good return on investment for your property. 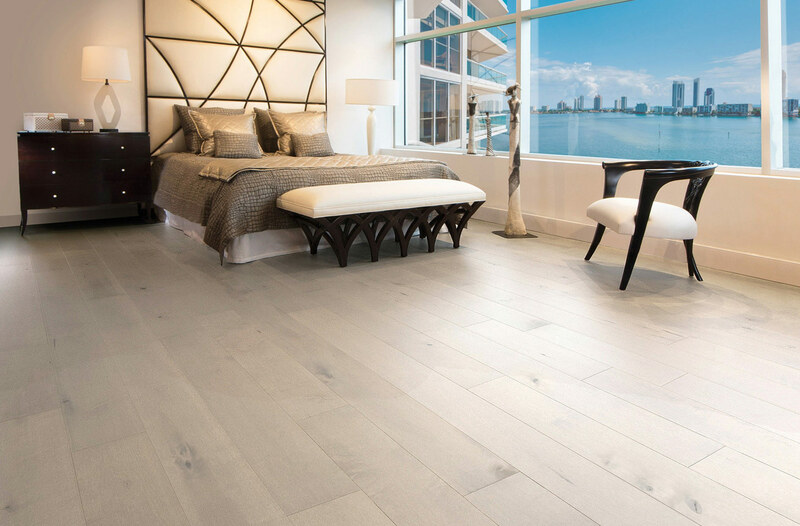 Hardwood manufacturers now use cutting-edge technology to prevent, as much as possible, the complications of moisture that once affected floors 35 years ago. Engineered flooring is a perfect example, with its hardwood surface that is glued to plywood, HDF or other structure. The look is the same and it is very difficult to see the difference. Another advantage is that it can be installed on all types of subfloors by gluing it, ensuring greater stability and making it less susceptible to moisture changes. The trend in hardwood flooring has evolved in the last years to a more natural and rustic affect, where knots and pronounced wood grain are visible. This is where hardwood stands out more from other products like laminate or vinyl, which are imitations that offer a look that can be somewhat artificial. There is also an increased presence of varnishes with a mat look and oiled floors that are very modern, in addition to having finishes that are more effective than they were in the past. In our stores, you will find a selection of textured hardwood floors that can minimize the damage made by animals, family, increased traffic and more. Now there is no reason to live without it! Prices vary between $6 / sq. ft. and $13 / sq. ft.
We have more than 400 different varieties and many combinations in stock. Discover them here or find out more at one of our stores. When it comes to budgets, this is the ideal option for a smaller budget. Laminate flooring offers a good combination of quality, durability and endless colours for a fraction of the price of hardwood. But be warned, there are different qualities! Laminate flooring imitates the look of a hardwood floor in a surprising way. Water damage? It is not complicated, we remove the boards that have been damaged and replace them just as easily (provided you kept some of them when you bought them!). The resistance of laminate flooring is classified according to an AC standard. We recommend looking for AC3 and higher flooring, with AC5 laminate flooring providing the highest resistance. A high quality laminate floor installed in an office, shop or in busy places will last many years without any trouble. An AC3 or AC4 floor is appropriate in a house or a commercial room with less traffic for example. Prices vary between $2 / sq. ft. and $5 / sq. ft. Discover a variety of colours here. It is often compared to its predecessor linoleum, but it has changed a lot! We have a wide selection of vinyl flooring. A soft and affordable coating, it is suitable to be installed in places that are more humid. It is also the flooring that is most resistant to water damage. If it occurs, simply dry the boards and then you can easily put them back in place. In addition, if you have a house with an uneven subfloor, it will mold to it much more easily. 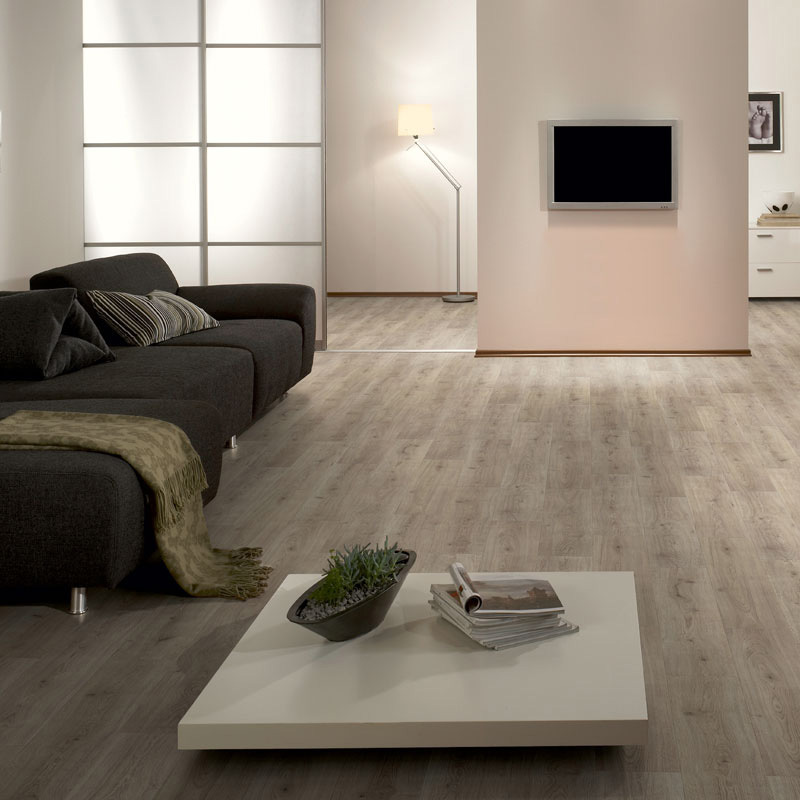 Similar to laminate flooring, there are different qualities of durability and resistance. Prices vary between $3 / sq. ft. and $6 / sq. ft. Discover our selection of vinyl flooring. Another feature to consider when buying flooring is installing it. You can install it by yourself, but some floors are more complicated than others. Our team of professional installers guarantees you installation that follows the rules of the art. Because your brother-in-law might not be able to do the job he thought he could! Have you thought about the option of sanding and varnishing? Often overlooked as an option during renovations, you have the choice of sanding and varnishing your original floor, and even adding a new stain if you want to (except for staining maple)! The wear and tear of past years will be erased and it will get a more updated look. This choice is quite affordable, and often costs the same as a good quality laminate flooring. Ask our consultants. A good ecological option and now available with no dust! In conclusion, choosing flooring is not as simple as you might think it is. There are many products available, and everyone has different priorities. Do you prefer comfort, easy maintenance, durability or style? Also, setting a realistic budget before starting your research will help you make a better choice. Make an appointment with our experts or go directly to one of our stores!